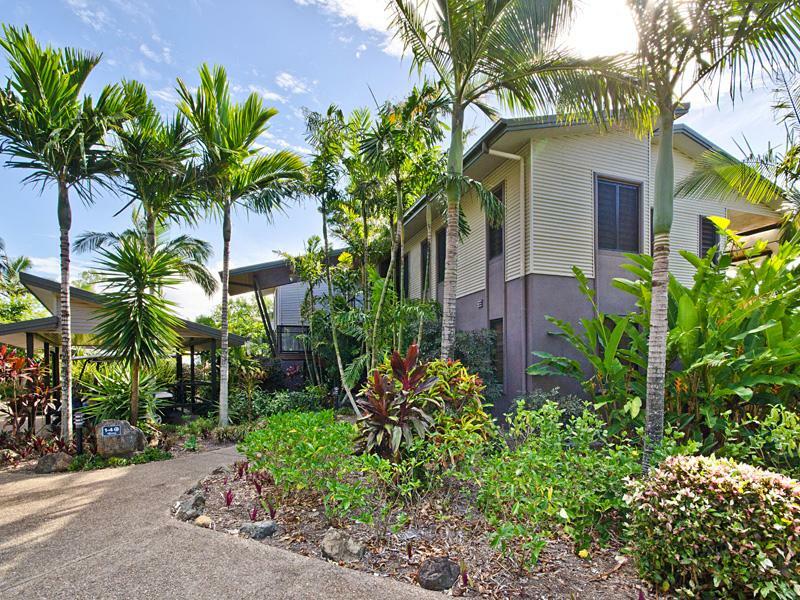 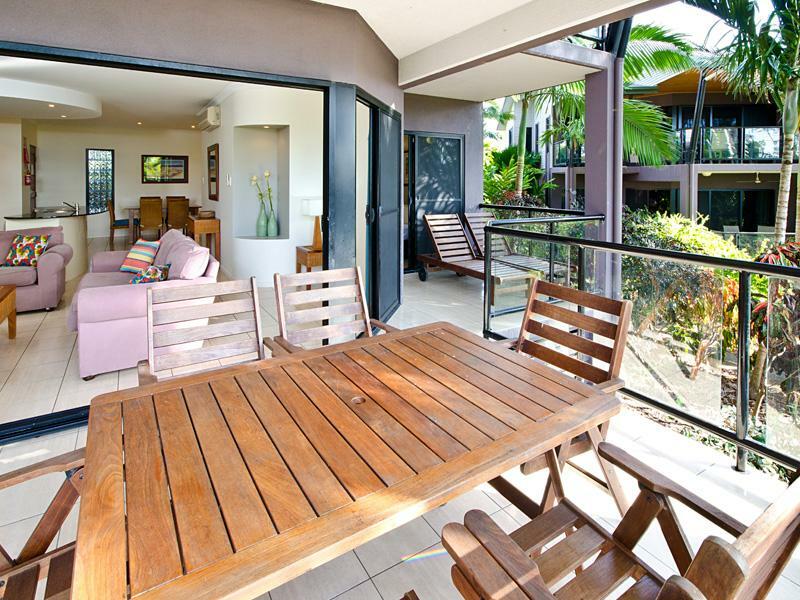 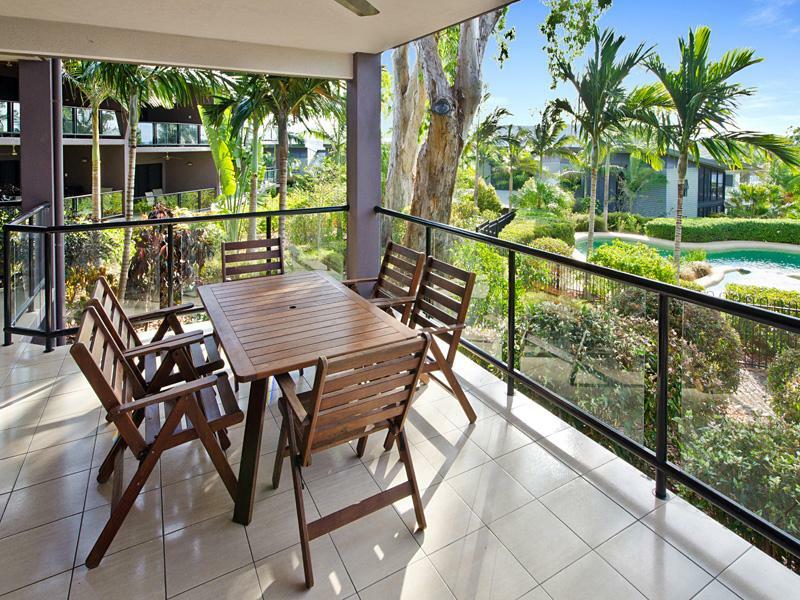 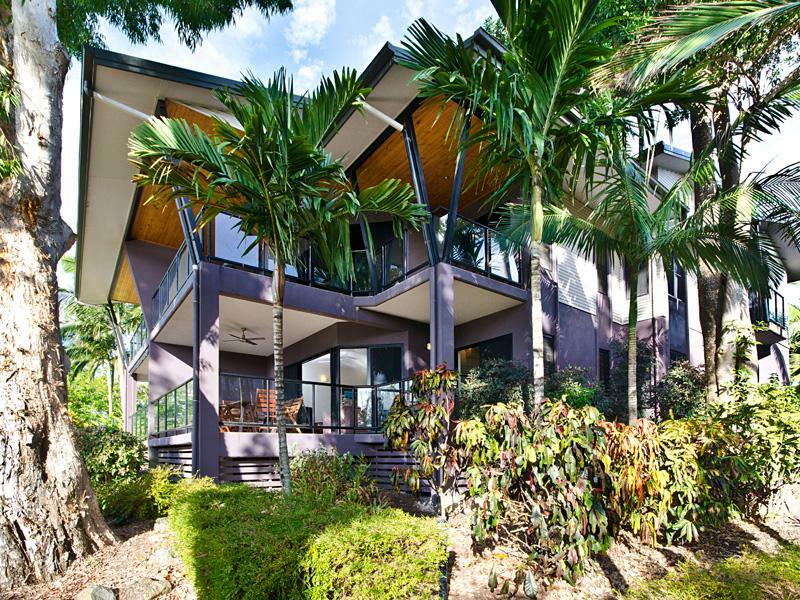 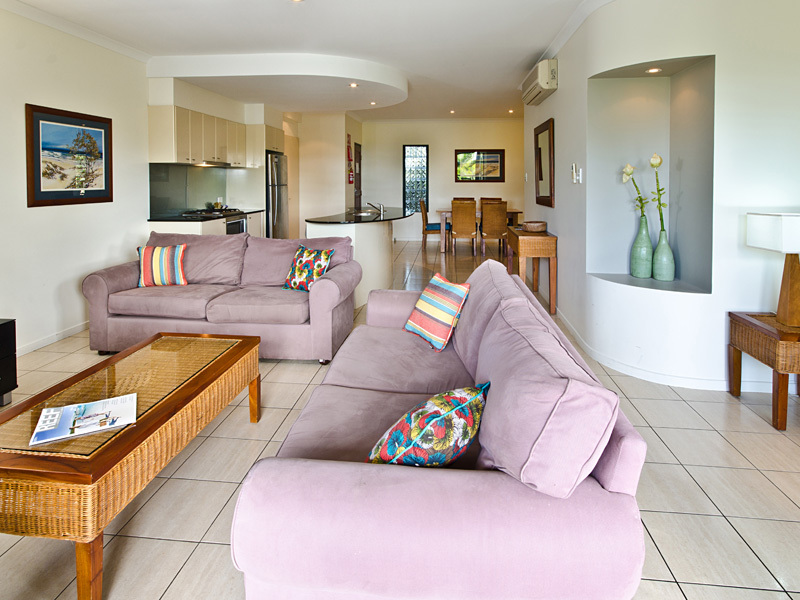 With its landscaped gardens and shared tropical pool, this two bedroom, ground floor apartment is a perfect escape for young families. 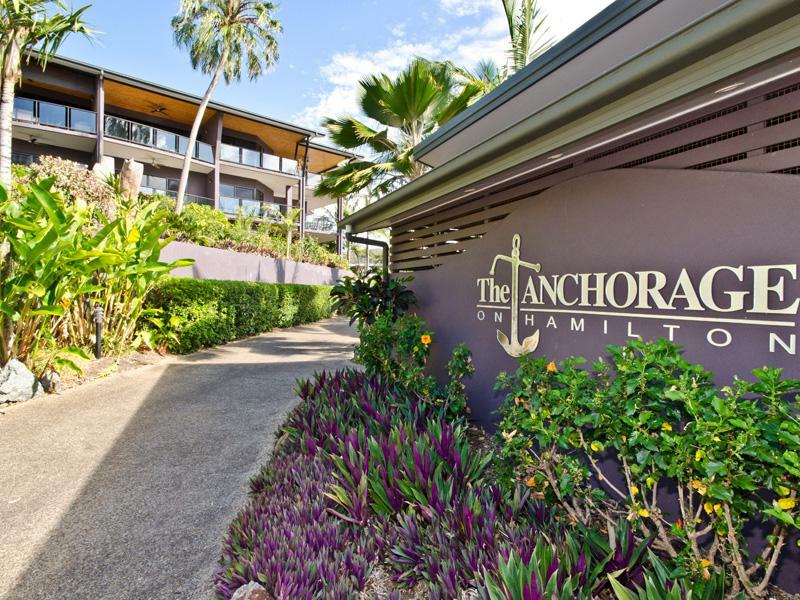 On the ground floor, and overlooking established gardens, Anchorage 1 is an ideal choice for families with young children, or two couples. 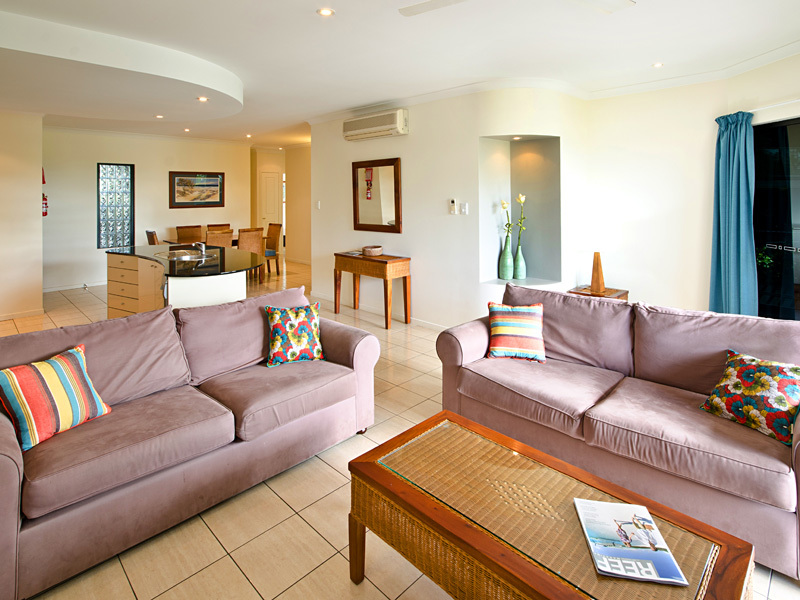 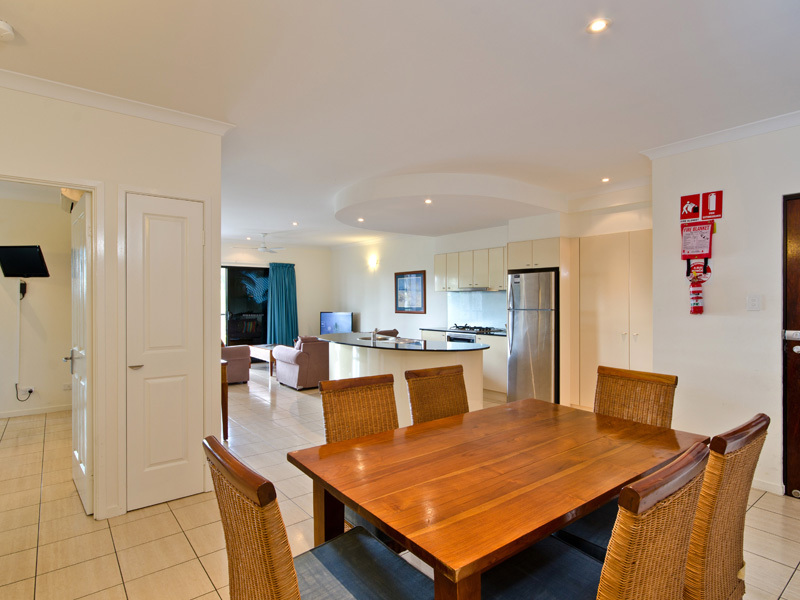 There are two bedrooms, as well as a double sofa bed in the living room. 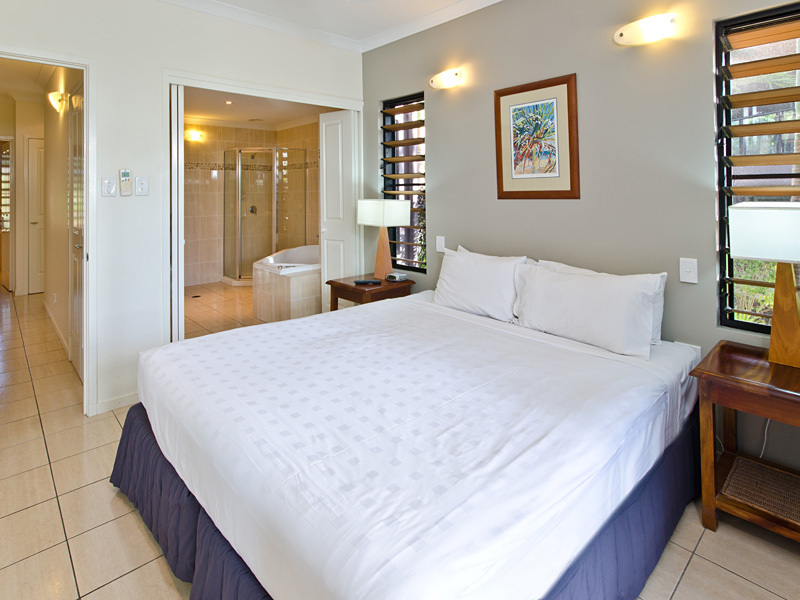 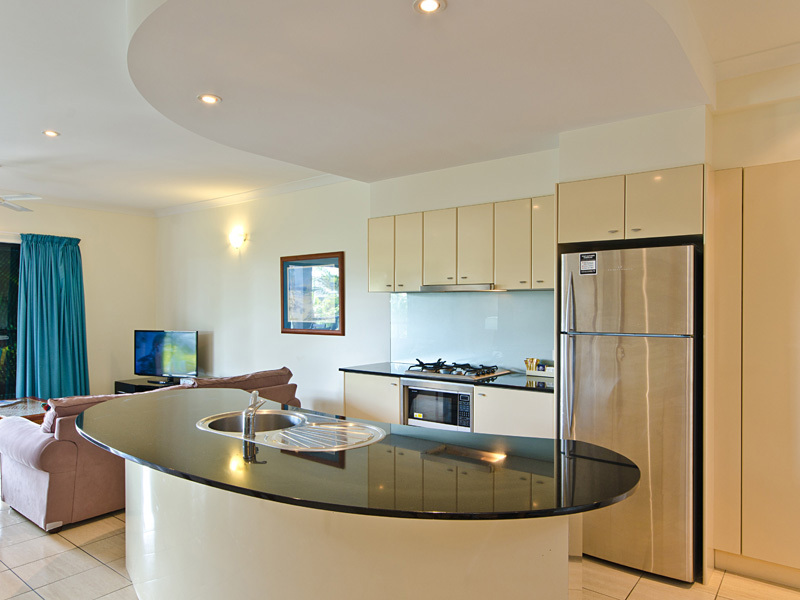 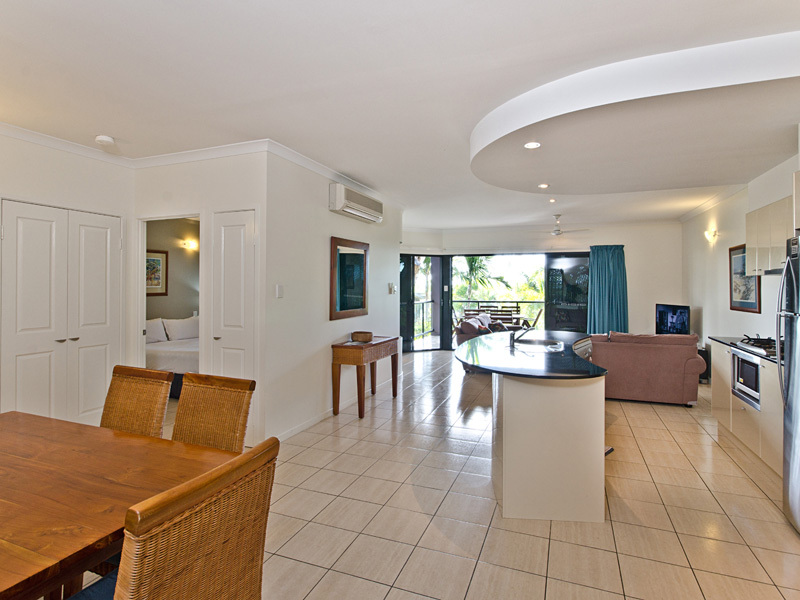 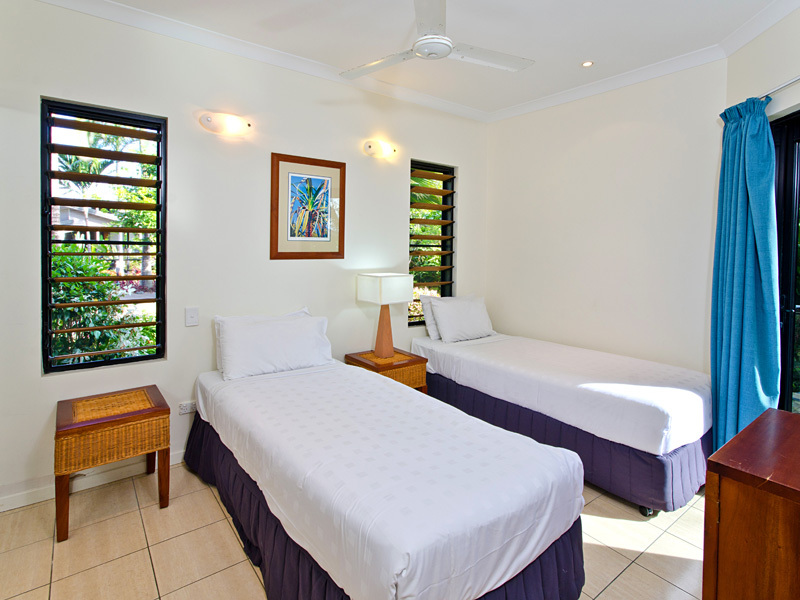 The main bedroom features a king bed, TV, mirrored robes, secluded balcony, its own air-conditioning and an ensuite. 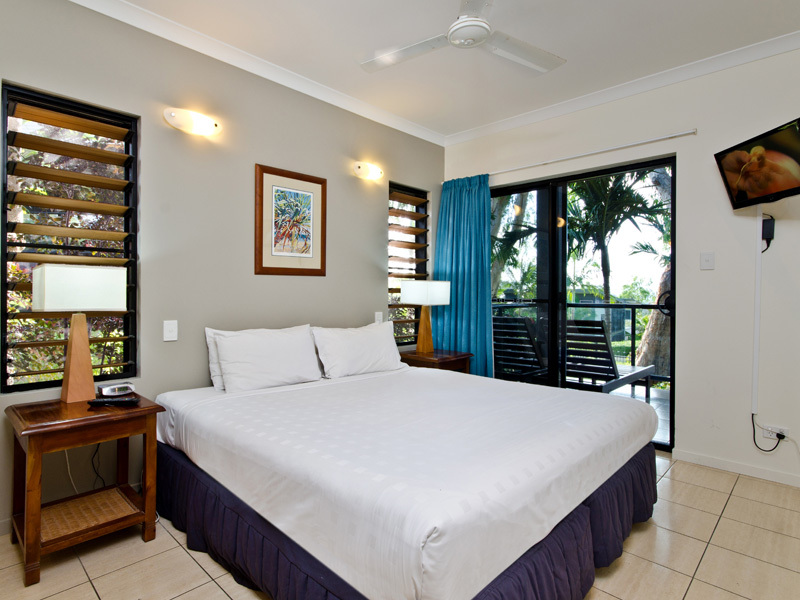 The second bedroom has a split king, mirrored robes, private balcony and air-conditioning. 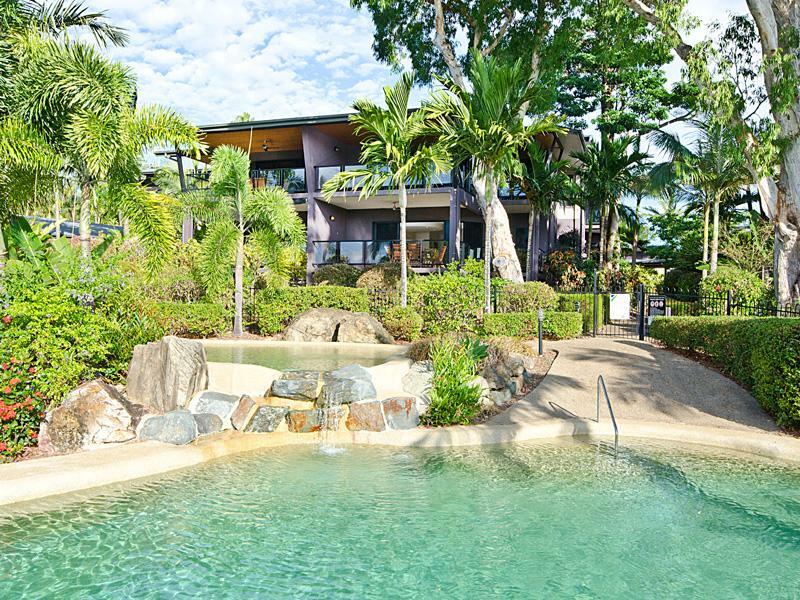 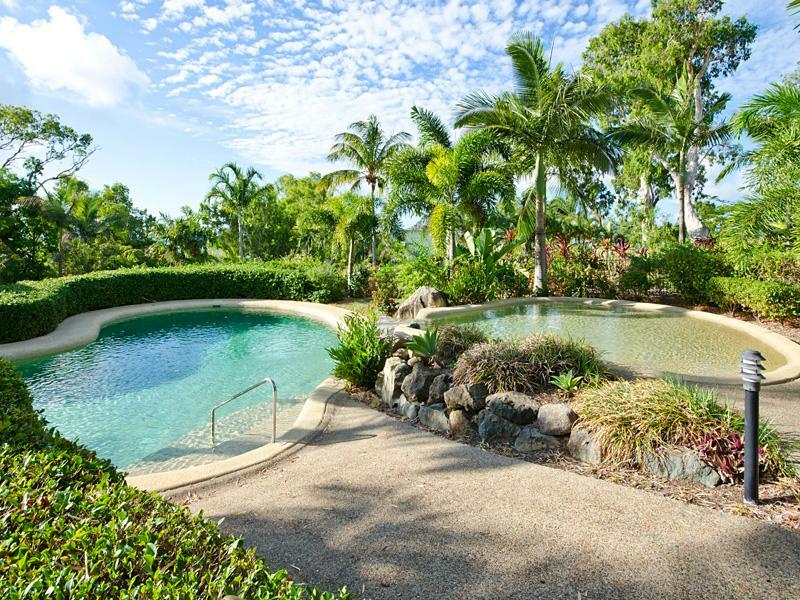 A shared pool offers filtered views of the Whitsundays and is perfect for kids. 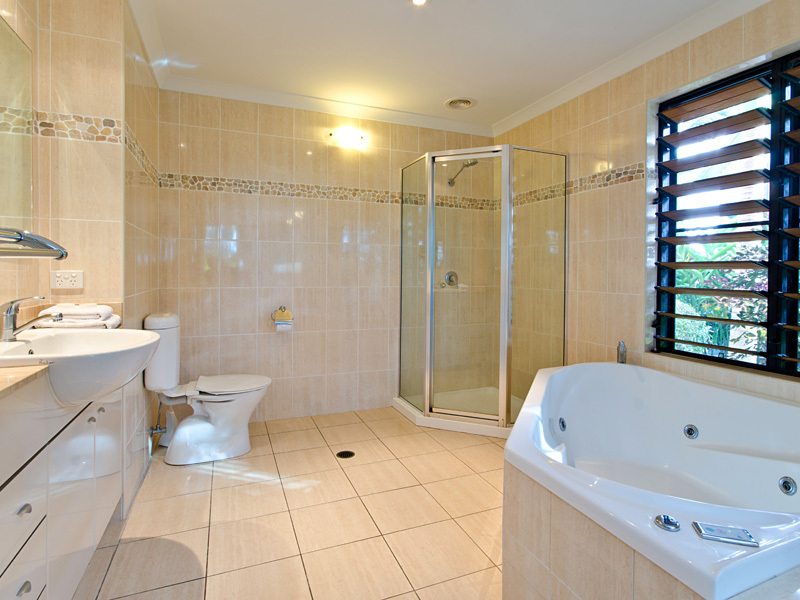 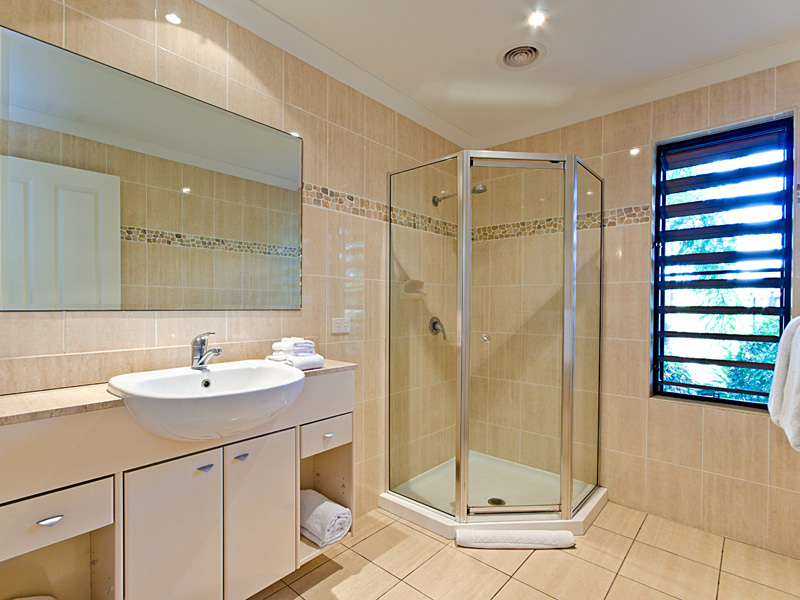 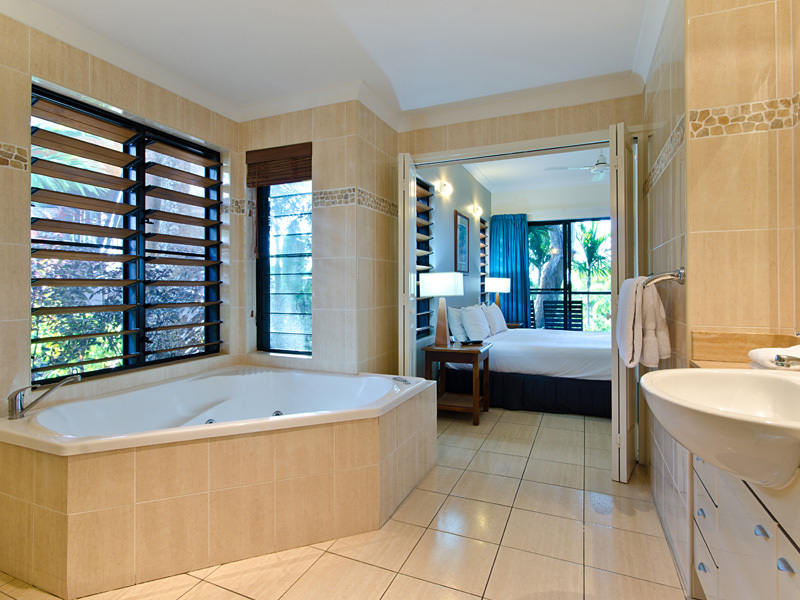 For the ultimate in holiday relaxation, the main bedroom features a large ensuite with luxurious corner spa bath.